I happened to mention to the proprietor of an antique barn near here that I’d be interested in any old typewriters she happened to come across. A conversation ensued, the proprietor withdrew into a back room, and she re-emerged with an old handwritten letter, dated 18 Sept. 1825 and spanning nearly three pages. 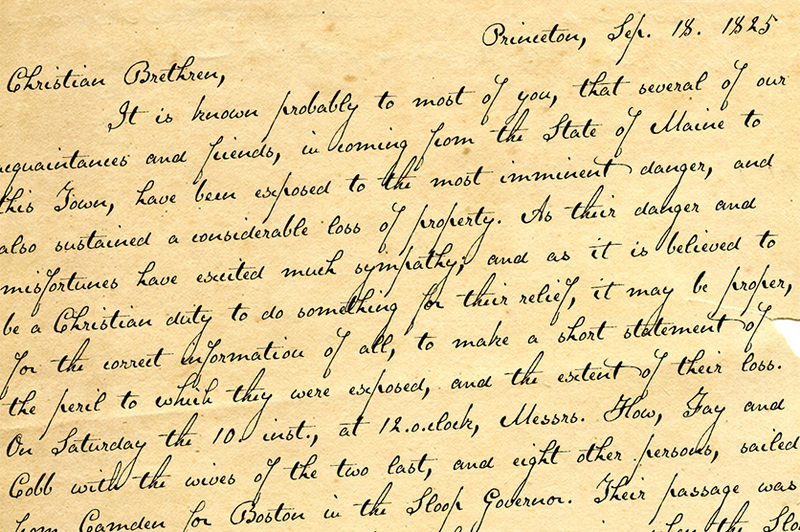 The letter, penned by Samuel Clarke, a Princeton, Mass., pastor, sought donations for the victims of an accident at sea. I thought his script unique, stylistic, and definitely something worth digitizing. Had to come up with several uppercase letters to round out the set, but the results seem good and proper. Has a complete character set. US$39.